A sweet explosion to singe your sweater vest. Portland's Decemberists are indie-folk's greatest ambassadors of unique songs, infused with history and fables backed by lush and inviting melodies. Since forming in 2001, they have become a mainstay on the scene, continually releasing their wonderfully whimsical records and putting on unforgettable live shows. Their 2015 record "What a Terrible World, What a Beautiful World" led to their hometown of Portland declaring January 20th 'Decemberists Day'! Now they're heading out on tour again with some new songs in the pockets, continuing their reign of awesome throughout North America that has seen a Simpsons cameo and a guest spot on Parks and Recreation. 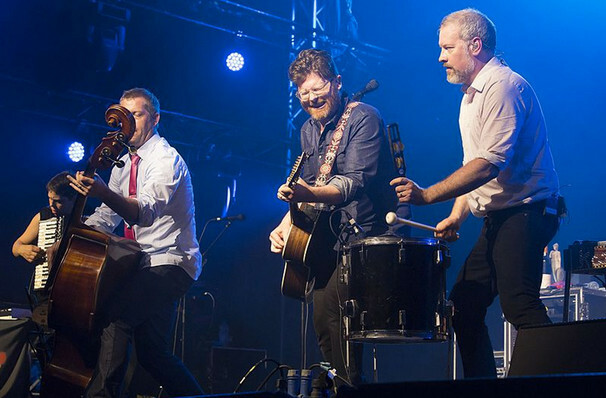 Seen The Decemberists? Loved it? Hated it? Sound good to you? 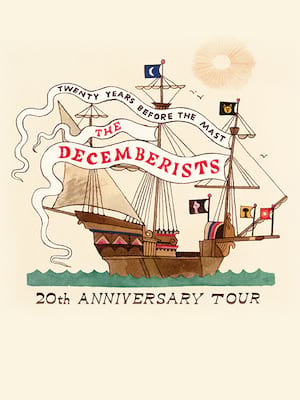 Share this page on social media and let your friends know about The Decemberists at EXPRESS LIVE!. Please note: The term EXPRESS LIVE! and/or The Decemberists as well as all associated graphics, logos, and/or other trademarks, tradenames or copyrights are the property of the EXPRESS LIVE! and/or The Decemberists and are used herein for factual descriptive purposes only. We are in no way associated with or authorized by the EXPRESS LIVE! and/or The Decemberists and neither that entity nor any of its affiliates have licensed or endorsed us to sell tickets, goods and or services in conjunction with their events.